Winter arrives to Montana’s snow covered forests hum with the sound of snowmobiles. 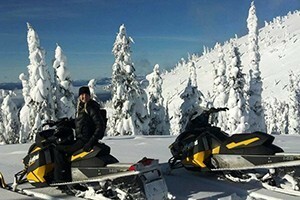 For a once in a lifetime adventure, check out Whitefish snowmobiling for a day of fun and breathtaking scenery. 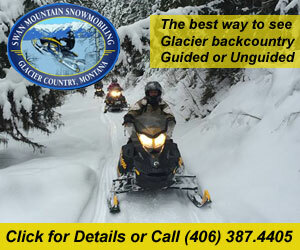 Now offering Flathead Valley’s ONLY two-hour guided snowmobile tours, the Desert & Crane Mountain “Quickies”! 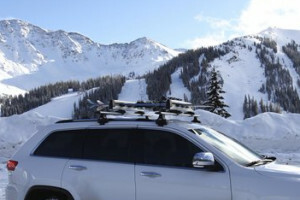 Plus, we offer 1/2 and full-day guided rides, and sled rentals. Rent a snowmobile and explore over 200 miles of groomed trails on your own, or hire an experienced guide for a custom tour. Helmets and gear included. Not for the meek, the 110-mile loop over Canyon Creek treks through the heart of Whitefish, stopping at the summit of Whitefish Mountain. With sweeping views of Glacier Park, the Great Bear Wilderness and Hungry Horse Reservoir, Desert Mountain Trail is a local favorite. Cruise through remote woods and view wildlife in frozen meadows along the Upper Whitefish Lake Trail. With over 200-miles of groomed trails and thousands of miles of National Forest, Whitefish offers some of the best terrain for snowmobiling. Due to restrictions, snowmobiles are not allowed inside Glacier National Park, however visitors will find that many trails circumvent the park’s borders and offer spectacular mountain views. With a trailhead located just outside Columbia Falls, Canyon Creek features miles of groomed trails which traverse the summit of Whitefish Mountain. It is one of the most popular snowmobiling routes in northwest Montana, so don’t expect to have the backcountry tundra to yourself. Trailhead: Flathead Forest Service Road 316, located 5-miles north of Columbia Falls. You may not be able to snowmobile inside Glacier Park, but the Desert Mountain snowmobile trail is almost as good. Blazing a trail to the summit of Desert Mountain, this trail promises some of the best views of Glacier National Park, Hungry Horse Reservoir and the Great Bear Wilderness. 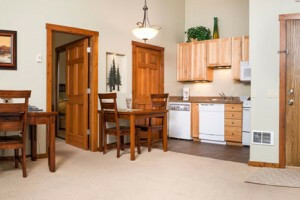 Offering miles of groomed trails and connected to one of the longest snowmobile trail networks outside of Olney, the Upper Whitefish Lake Trail offers a short loop through remote wooded areas around the Whitefish Mountains and connects to Werner’s Peak Trail. 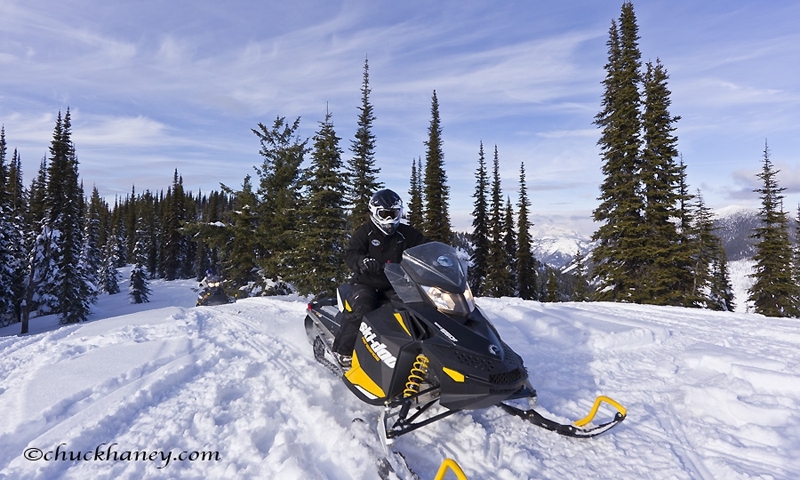 If you are looking for an insider’s guide to the best snowmobile trails throughout the Flathead Valley, there are several outfitters to choose from. Why go with an outfitter? Tours are organized by local guides who can guarantee the best routes with most spectacular scenery and increased chance of viewing winter wildlife. An outfitter, like Swan Mountain Snowmobiling or Flathead Snowmobile Association, will also make sure you and the snowmobile are safe and secure.